As a Westchase resident, did you know that you have access to a Top Rated Local® flooring service in your area? Even though we’re based out of Tampa, we love catering to the regions around this town. Westchase is one of the many areas that we serve and we absolutely love working with the fine residents. If you’re looking to do something different with the floors in your home, then consider our flooring company for your renovation needs. For a free in-home estimate, take the time to contact us today to get started on making your home look even better. 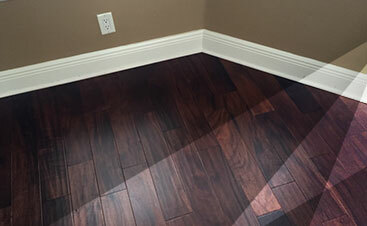 One of the flooring options that we offer at 2 Day Flooring is luxury vinyl flooring. Luxury vinyl flooring, for those who don’t know, is a beautiful option that’s a little more durable than other types of flooring. This beautiful option is easy to clean and maintain, even if it’s in high-traffic areas. Luxury vinyl flooring comes in many different forms, which makes it a very easy option to absolutely fall in love with. Another reason that people love it so much is because of how easy it is to clean and maintain. You don’t have to purchase specific materials or skip over using moisture when you have luxury vinyl flooring. In comparison to cleaning other types of flooring, luxury vinyl is low-maintenance and affordable, which is always a benefit if you’re on a budget. 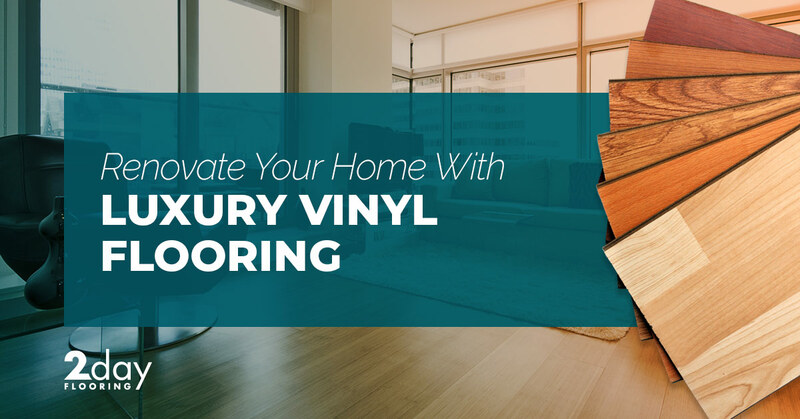 Whether you’re looking to put luxury vinyl flooring in your entire house or you’d just like to redo a portion of it, our team of experts can help you achieve your vision for your residence. As a homeowner, you have your perfect house in mind and our knowledgeable team of experts can help you achieve flawlessness. We’ll work with you to figure out the best flooring option for your home. We’ll educate you on the pros and cons of specific styles, textures, and patterns. Communication is a huge factor for us and that helps us figure out what you’re looking for and how we can meet your expectations. By working with our team of experts, you can expect diligence, hard work, and promptness. We won’t get in the way of your day-to-day activities either because we know that you’re busy. Additionally, we want to be in and out of your home as quickly as possible. We pride ourselves at 2 Day Flooring for being responsible, efficient, and trustworthy. Our priority is making sure that you’re happy with the work we’re doing on your home. 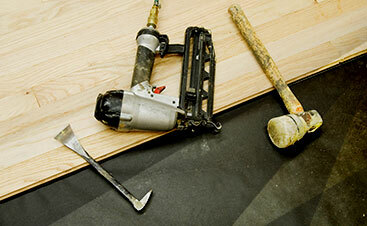 We want you to be 100 percent satisfied with how we install your flooring and the way your home looks. That means we’ll work with you to find out your vision and what your expectations are about the process. We want to make floor installation as easy as possible for you and your family. If you’re ready for that in-home estimate, then it’s time to reach out to 2 Day Flooring.